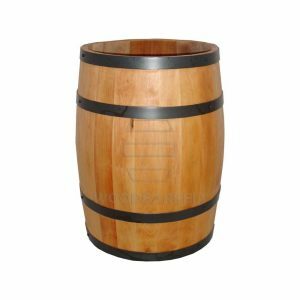 Wooden Display Barrels are becoming an increasingly popular method to storing and merchandising bulk items and foods. 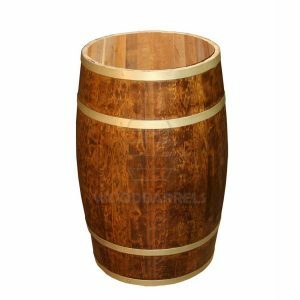 Fruit stands, farmers’ markets and country stores really like to use these display barrels. That’s because they add to the rustic style environment. Some of these displays allow you to utilize the entire space of the barrels. Others feature false bottoms to keep items at the top for customers to access. This way you don’t need to fill them to the top with merchandise. Wooden display barrels and crates can also be used for purely decorational purpose. Many merchandisers will store extra items in the barrels. Then they leave them out on the showroom floor as a decoration or additional furnishing. Half barrels are also available that sit flush against the wall to help conserve floor space. Stack or nest wooden crates in a rustic space-saving fashion as well. 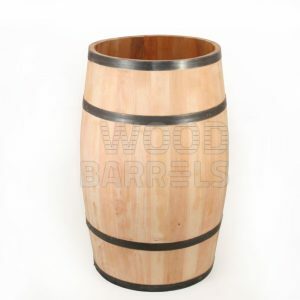 10 Litres Wooden Display Barrel. 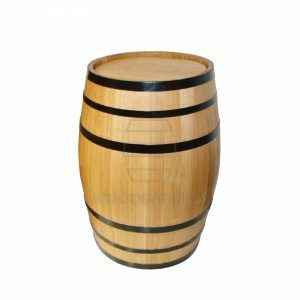 These Barrels are made either of solid birch or pine wooden staves, therefor they are lighter in weight and far more affordable. Staves are glued for extra durability, then bound together with metal hoops to give our display barrels the authentic wine or whisky barrel look. They’re also available in Oak wood. 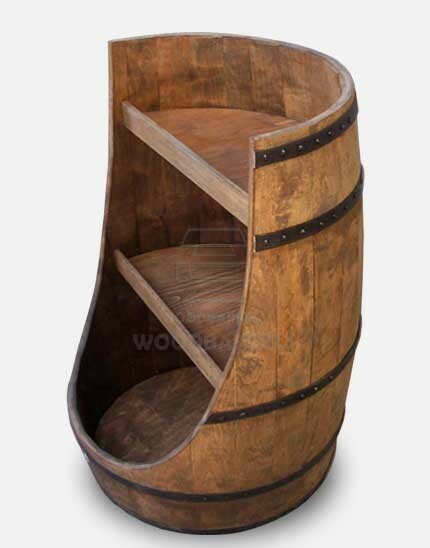 Display barrels stand vertically and are available either with two or one bottoms (open on one side). They serve as POS stands, product display containers or counter or back bar decoration. 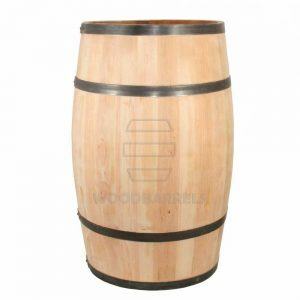 Our wooden barrels are unique and eye catching way of displaying your products and when branded they create the perfect opportunity to promote your company logo. 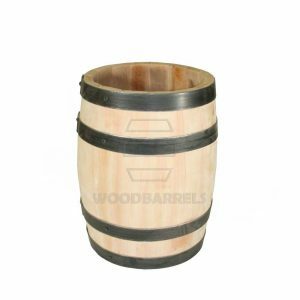 Our wooden display barrels come with four or six (depending on barrel’s size) painted black steel hoops or galvanised. 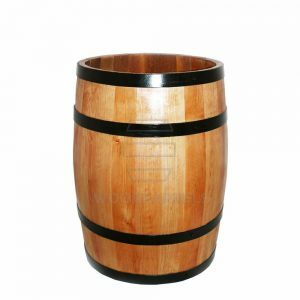 30 Litres Wooden Display Barrel. 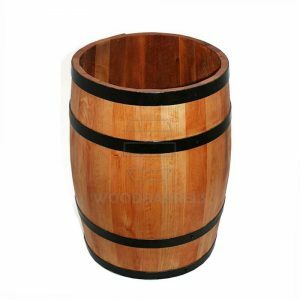 40 Litres Wooden Display Barrel. 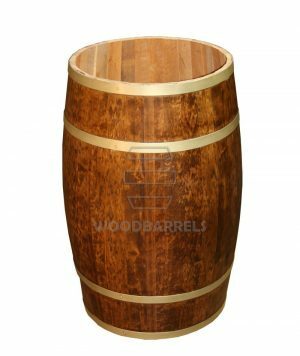 Wooden Display Barrels are made either of solid birch or pine wooden staves, therefor they are lighter in weight and far more affordable. 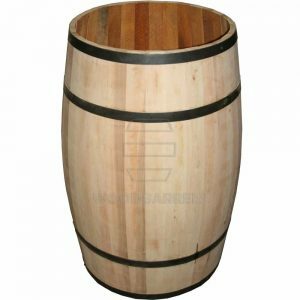 300 Litres Wooden Display Barrel.